Turks were originated from Central Asia, where they drifted towards Anatolia gradually and made their home. They have been making these stuffed flat breads called Gozleme since then. These popular snacks are cooked quickly on a hot griddle and can be filled with various fillings. Some of my favorite fillings are mashed potatoes, cheese and parsley; spinach and cheese, and ground meat and onions. 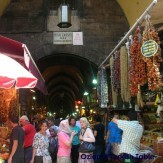 They are also popular street food and go down very well with a glass of cay (tea). 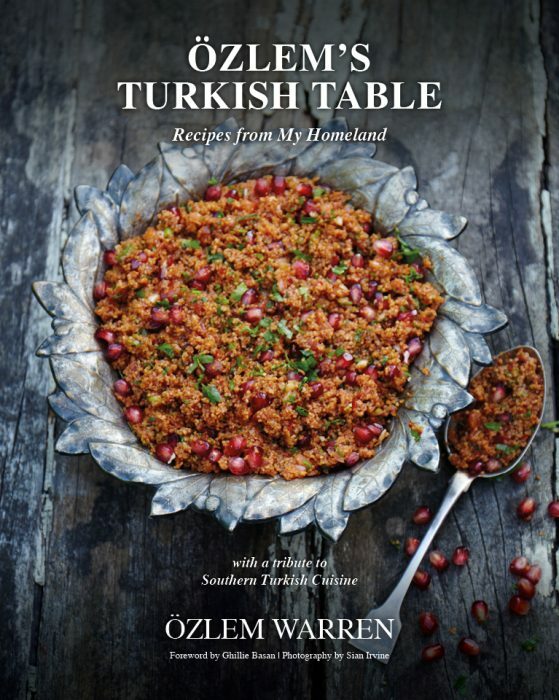 I adapted this recipe from Ghillie Basan’s brilliant cookery book, The Complete Book of Turkish Cooking. I hope you give it a go to these delicious flat breads. One important tip; once the flat breads are cooked, brush them with a little olive oil or butter to keep them moist. A short but exciting trip to Istanbul next week; look forward to sharing some favorites from home soon. Sift the flour with the salt into a bowl. Make a well in the middle and pour in the oil and the water. 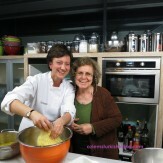 Using your hand, draw in the flour from the sides and work the mixture into a dough. Knead thoroughly. Divide the dough into 6 pieces, knead them and roll into balls. Place the balls on a floured surface, cover with a damp cloth and leave them to rest for 30 minutes. Meanwhile, prepare the filling. Chop the washed spinach leaves roughly. Melt the butter in a heavy pan and soften the onion. Stir in the chopped spinach and red pepper flakes. Then stir in the flour and pour in the milk, stirring constantly until thickened. Beat in the cheese and season with salt and pepper. Cover the pan to keep the filling warm. On a lightly floured surface, roll out each of the balls of dough with a rolling pin into thin, flat rounds, about 20cm/8in diameter. Heat a griddle, wipe it with a little oil, and place one of the rounds of dough (or more, if your griddle is big enough) on to it. Cook the dough for about 1 minute on one side, then flip it over and brush the bread with a little olive oil (this will keep the bread moist). 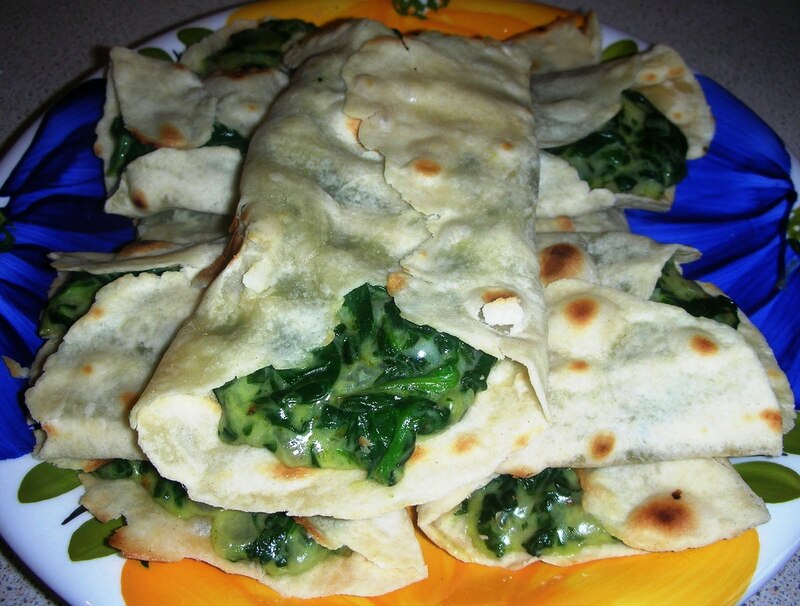 Then spread a thin layer of the spinach filling over the cooked side. Cook the second side for 1-2 minutes, allowing it to buckle and brown, then lift it off the griddle and place it on a piece of baking parchment. Brush the top of the bread with a little olive oil. 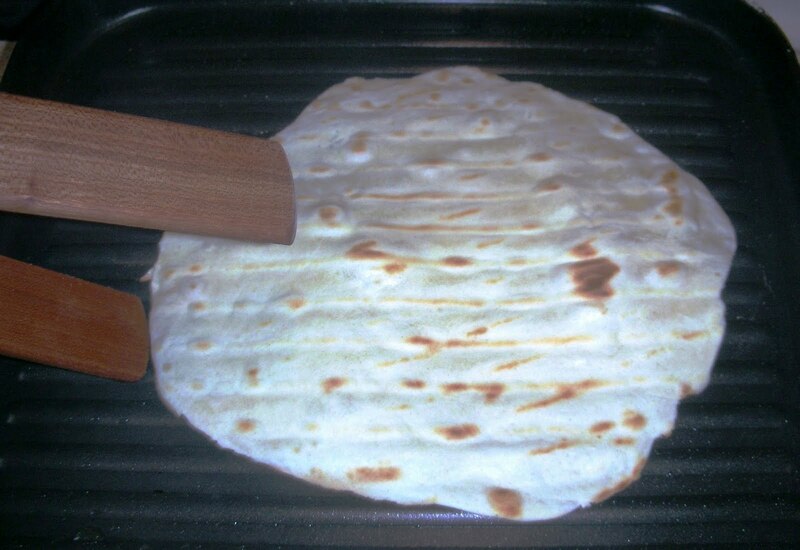 Roll up the gozleme, wrap the paper around it to make it easier to hold, and hand it to the first person waiting to try one before repeating with the others. Note: If you don’t have enough time, try using fresh flour tortillas as the flat breads. You can warm the tortillas on a hot griddle with a little olive oil before adding the filling. I am so making this! especially this bread recipe that you posted..thank you for posting. You are very welcome Nadine, I am delighted that you are enjoying the flat breads. They are very versatile; for a sweet treat, you can have them with clotted cream/butter and jam too. many thanks for getting in touch, I would love to connect with Claudia, I will send an email to you shortly. How sad with issues with blogger, hope it resolves soon. Many thanks for the email, yes, you are right that is the bread flour higher in protein. It is yummy, do make sure to brush the flat breads lightly with olive oil, that really keeps them moist. Hope you enjoy it! Me and MY Turkey friend seriously thinking to open Anatolian & Turkey bread Restaurant in Thailand, We would interoduce Turkey Anatolian, breads, art, culture to out side of Turkey people. 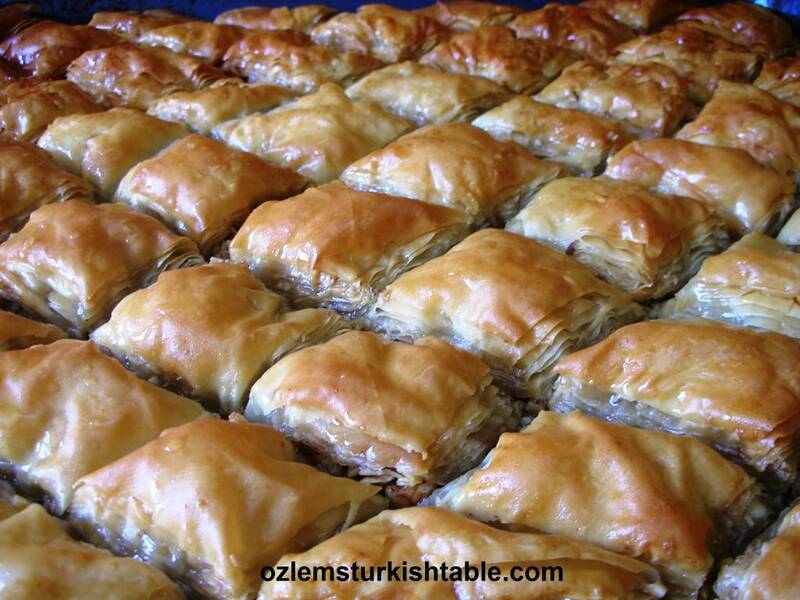 WE want create our own oven, restaurant with Turkey style , culture. Any body has conductive suggestion, advise fr US , please write a comment, we will appreciated, THANK! Hello, Please can you help. I was chatting to a lady called Khatuna, who produces cheese. She lives in Bodrum. I was cut off by internet and now I can’t find her. Can you help me find her. 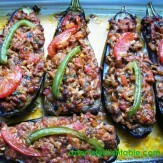 When I come to bodrum I will definitely eat your food.